A couple of years ago when the "next-gen" consoles were being released I stood in line for both the 360 and Wii. I can't quite remember why I chose to do this at Best Buy, twice I might add, but their policy is that they don't start selling the consoles until the morning. This meant that all the early adopters had to bare the November wind. I remember that this didn't even feel like a setback because the thought of having that console before anyone else was so enticing that I couldn't resist. Not for bragging rights, but whenever there is a new console being released that I want, I can't help but feel like I'm somehow falling behind. In hindsight I can't believe I ever waited for that amount of time just to have a console a few days or weeks earlier. 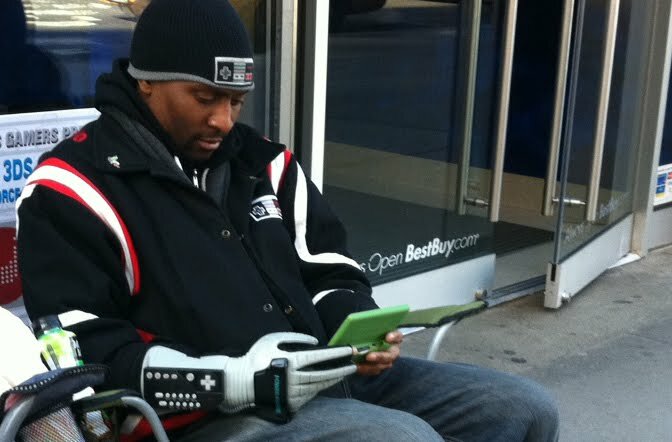 If there was some kind of incentive given to the early adopters, like a free warranty extension or maybe a free game, I would consider doing it again, but as it stands there are way too many setbacks, (ie buggy software, generally bad launch lineup, having to sit in the cold next to tired nerds, ect) to merit buying a console at launch. I have no doubt that this people have heart and are very much committed. But my question is what are they committed to? To me it seems to be just brand loyalty... is there something more then that? I never waited for a launch of console or game so I don't really know. My guess is that maybe it has something to do with being part of the zeitgeist.